In Asia, where the need for acceptance by the group is high and individualism low, the highest need that a luxury brand serves is status seeking. A slew of these brands owe their popularity and sales to this phenomenon, that consumers make the purchase for (impressing) others as often as they do for themselves. For instance, I recently heard this interesting anecdote about young women in East Asian countries. Brand consciousness is so high in these countries and brands so much a part of one’s self-image, that when these young ladies join the workforce they scrimp and save in order to be able to buy a designer bag, say a Louis Vuitton, often spending the equivalent of a few months’ salary to buy one. To them this is the badge that announces (to everyone around) that they’ve ARRIVED ! A friend of mine here in India loves designer handbags and would love to own several, but doesn’t want to spend that much. She was thrilled when bagsutra.com – India’s first luxury handbag rental service – was launched and she could rent designer handbags for a week at a time. Apart from accurately recognising a need and fulfilling it, Bagsutra utilises the psychology behind the lust for a designer bag rather effectively. Luxury brands not only convey a standard of excellence, but act as social codes indicating access to the rare, exclusive and desirable. To match the designer handbags they rent out, bagsutra also has an exclusive air – membership is by invitation only, prospective sign-ups are screened and need to be recommended by an existing member. If you don’t believe how secretive (read exclusive) it is, check out the website and see how much information you can find there about the service! You’d think this obsession with handbags and their reflection of one’s social standing would be limited to the well-to-do, but no, somehow it has percolated down income strata in the mysterious way that attitudes do. A friend with an army of maids has one for cooking, one for the other chores, one for taking care of the baby and a fourth for miscellaneous back-up. This section is about the cooking maid – let’s call her Shobha. Unlike the other maids who grew up in shanties or slums, Shobha grew up in a flat – albeit a small one – in a proper building and has a higher level of education. Ill-fortune has forced her to work as a maid and cook for other people, but she still wishes to underline her higher status and set herself a notch above the other maids. Hence, apart from wearing better quality clothes and sandals with heels (not chappals, mind you), she has cultivated two habits that clearly differentiate herself from the maid cadre. One, she uses a deodorant regularly, in spite of the fact that the smell is obliterated in less than fifteen minutes of cutting-chopping and sweating over the stove; nevertheless, the important point is that everyone notices that she arrived with deodorant on. Two, she carries a handbag rather than just carrying her money in a small cloth purse or rolled up in a handkerchief and tucked you-know-where. This has of course not gone unnoticed by the other maids and they rib her about it incessantly, saying ‘memsaab banne ki koshish kar rahi hai’. Interesting to see how many women across geography, income and education levels pin identity and status to the same type of symbols and objects. It is another type of basic instinct, isn’t it ! Entry filed under: Consumer behavior, Consumer Trends, Observations, Uncategorized. Tags: Consumer preferences, designer handbags, luxury goods. I like Sobha’s example where people are so attached to a perceived standard that they stick with it even when it is absolutely arbitrary. It is as unnecessary as carrying Gucci bags to remote and impoverished parts of Africa. They are not trying to impress anyone but get a sense of comfort with how they perceive themselves which at times reflects their insecurities. There is also a small group of women who like to carry bags and wear clothes from high end fashion labels because of their innovative designs and excellent quality. They are in fact repulsed by something which is monogram clad or which screams out the brand’s name. They do not associate themselves with a brand but buy items because of its aesthetic. It is a different mind-set which comes with the understanding of what you are paying a premium for – design and quality. Labels are picking up on this sentiment and have started to design items which cater to this segment which are priced significantly higher than the standard carryover models. Thanks to Roshni (who started off this theme on the blog with her post last week), am aware of what you refer to in your second paragraph. In fact, maybe it’s an interesting enough topic to write a short blogpost on. Let me ask her to do so. Thanks for sparking off the idea. Perhaps because that segment in India are relatively more conservative in their spending (more savings driven), see more value in non-depreciating assets such as gold and jewelry, and probably do not see value in branded bags. This same segment would not flinch before spending twice the amount on a designer sari or churidar-kurta than their counterparts in the rest of Asia would spend on bags. Also, international brands have spent a lot on mass marketing in the rest of Asia than it has in India perhaps because of the high import duty on luxury goods in India. So this behavior is not only because of a cultural difference but also less exposure and access to international brands. Indians in general are quite conscious of value-for-money. 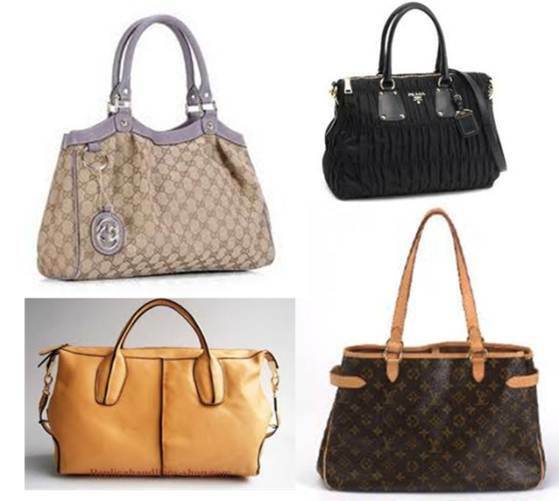 For upper middle class women in India, branded handbags are probably far too expensive to justify the expense. Remember that unlike other countries, here many of their peers many not notice the brand or recognise it. So it’s more about buying a ‘smart’ handbag than a designer brand. Also, like Rahul says, the designer label has far more perceived importance on clothes than on accessories. p.s. In my answer above, am purposely staying away from a discussion on what income levels constitute ‘upper middle class’; am assuming that you are comparing similar income levels in other countries and India. I doubt ‘upper middle class’ women in India are in the income bracket that can afford designer handbags, that is a much higher income bracket. Your writjng style is awesome, keep doing wht you’re doing! Thanks for your encouraging comment, feels great reading it.